The application fee is $65.00 USD, and is non-refundable. Documents should be uploaded in the proper area within the online application form. Include a clear scan of your government issued identification. Optional– Unofficial transcript included in application. Upload a copy of your transcript on the admissions application. This will expedite the admissions process, allowing you to begin classes while we wait on the arrival of your official transcripts. Include a scan of your University transcript on the admissions application. 1. If our internal evaluator can evaluate your transcripts, then you will not need to obtain a NACES evaluation. If you would prefer that your transcripts are evaluated in house, you will need to contact the University where you earned your bachelor’s degree and request that they send your official transcript. We must receive an official transcript to complete the admissions process. All documents written and issued in a foreign language must have a certified English translation attached. 2. If our evaluator cannot evaluate your transcript you must have the transcript evaluated by an evaluator who is a member of NACES. You must choose an evaluator who is a member of NACES to complete the evaluation. A list of evaluators can be found on the NACES website. https://www.naces.org/members.html The evaluator must send the results of the evaluation directly to ECCU. There are several ways to show proof that you meet the English requirement. 1. If your degree is earned in a country where English is the official language then you do not need to provide additional proof. For example, If you degree was earned in the UK, Canada, Australia, Ireland, and New Zealand, Nigeria . 2. If English was the language of instruction at the University where you earned your Bachelor’s degree then you can provide a letter from the institution stating that English was the language of instruction, and/or you can also request that the NACES evaluator state the language of instruction on the degree evaluation. Anguilla, Antigua and Barbuda, Bahamas, Barbados, Belize, Bermuda, Botswana, British Virgin Islands, Cameroon, Cayman Islands, Dominica, Fiji, Gambia, Ghana, Gibraltar, Grenada, Guyana, Jamaica, Kenya, Lesotho, Liberia, Malawi, Malta, Mauritius, Montserrat, Namibia, New Zealand, Papua New Guinea, Seychelles, Sierra Leone, Singapore, Solomon Islands, South Africa, St. Kitts and Nevis, St. Lucia, St. Vincent and the Grenadines, Swaziland, Tanzania, Tonga, Trinidad and Tobago, Turks and Caicos Islands, Uganda, Vanuatu, Zambia and Zimbabwe. 3. You can show English proficiency by taking a recognized English proficiently test. OR Official IELTS (International English Language Test) score of 6.5 or better. 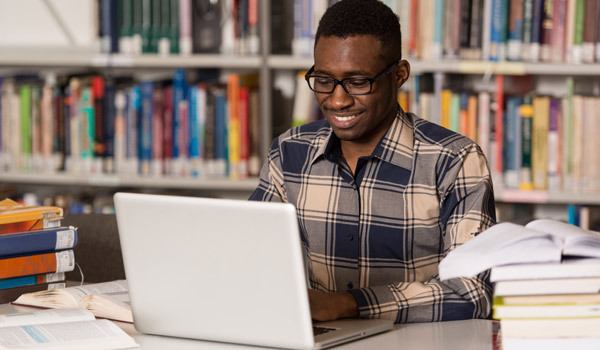 In order to qualify for admission to the MSCS or the Graduate Certificate program at EC-Council University, all enrolling students must be 18 years of age and have an earned Bachelor’s degree from an appropriately accredited institution with a cumulative grade point average (GPA) of 2.5 or better. Students whose undergraduate degrees are not in or related to the subject of information technology will be further evaluated based on work experience in the field and/or certifications achieved in information technology prior to an admission decision. Applicants who have been denied admission may appeal the decision to the Dean. Additional documentation in support of an applicant’s candidacy may be requested as deemed necessary by EC-Council University. All application documents are the property of EC-Council University, and will not be returned to the applicant. Are you ready to become an ECCU Student? The application fee is $35.00 USD, and is non-refundable. Must submit proof of High School diploma or foreign equivalent. 1. Some international transcripts can be evaluated in-house. If our internal evaluator can evaluate your transcripts, then you will not need to obtain a NACES evaluation. If you would prefer that your transcripts are evaluated in house, you will need to contact the University where you earned your degree or credits and request that they send your official transcript. You must submit transcripts for all schools attended. We must receive an official transcript to complete the admissions process. All documents written and issued in a foreign language must have a certified English translation attached.
. If our evaluator cannot evaluate your transcript, then you must have the transcript evaluated by an evaluator who is a member of NACES. Send the evaluator transcripts for all schools attended. You must choose an evaluator who is a member of NACES to complete the evaluation. A list of evaluators can be found on the NACES website. The evaluator must send the results of the evaluation directly to ECCU. 1. If your degree is earned in a country where English is the official language then you do not need to provide additional proof. For example, If you degree was earned in the UK, Canada, Australia, Ireland, and New Zealand, Nigeria. OR Official IELTS (International English Language Test) score of 6.0 or better. Have completed a college level English and math class with a grade of C or higher.